Inside-out membrane vesicles isolated from HEK293 cells. 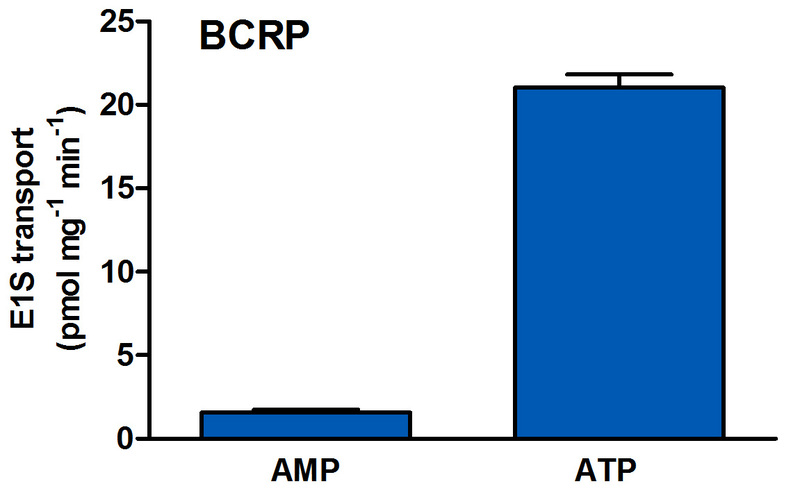 BCRP vesicles with an ATP/AMP ratio >10 are readily available from PharmTox. Name: BCRP, breast cancer resistance protein, ATP-binding cassette sub-family G member 2, ABCG2. BCRP substrates: E1S, estrone-3-sulfate, methotrexate, irinotecan, pantoprazole, rosuvastatin, topotecan, chlorothiazide etc. BCRP is present in: placenta, stem cells, prostate, small intestine, brain, colon, liver, mammary gland and kidney. Available: mouse and rat BCRP. For ordering information or product quotes please contact PharmTox.